When you need a Coral Springs Slip and Fall Attorney, you should call the Law Offices of Robert E. Gluck, P.A. He is a passionate and committed lawyer who will guide you along the legal road you are about to go down and help you build a strong case so you can receive financial compensation for the injuries you sustained. 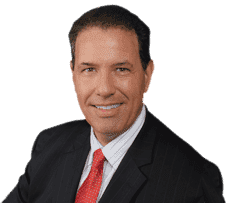 As a Coral Springs Slip and Fall Attorney who has been practicing law since 1989, Robert Gluck will fight hard for you and be the voice you need during this tough time in your life. He will gather the evidence he will need to prove negligence existed and directly caused your accident so the responsible party will be held financially responsible. Whether you fell on a residential or commercial property, your Coral Springs Slip and Fall Attorney will need to open a full investigation into your accident and gather all the evidence they can find. They will assess any property damage, secure available video surveillance, retrieve witness statements, and take photographs of the accident scene. Studies often show that your Coral Springs Slip and Fall Attorney can be crucial in receiving the maximum financial compensation you need for your injuries. Victims of slip and fall accidents tend to receive a higher compensation when they seek legal representation than those who don't. You can have peace of mind knowing Robert Gluck will handle all the legal aspects of your case so the only thing you have to do is focus on healing.